My dad is a retired jeweler so I had him look at it. He said it looked great. It feels wonderful on my wrist and looks beautiful. I added a lot of Soufeel’s 925 silver charms, and I feel like a million bucks. 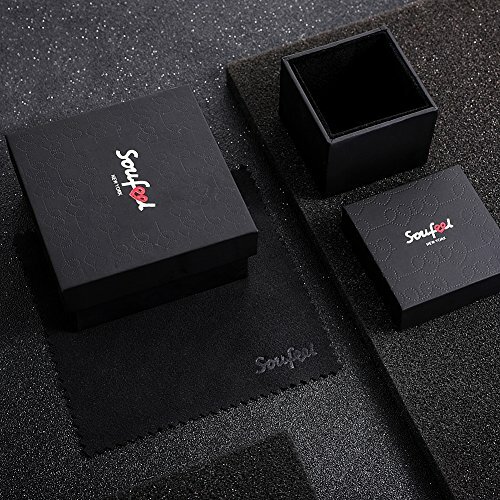 Only thing is, since I have bought from soufeel’ website before, I would have thought I would have received a polishing cloth, but I did not. No problem as they are easy to find and I had one already. Great bracelet thank you so much! In my opinion the quality is better in this bracelet than in my Pandora bracelet. It is smooth and the sizing is amazing! Soufeel is so underrated! Don’t waste your time with a Pandora bracelet this is by far the better alternative! Grandaugter recieved today and she loves it! Very happy! I bought this bracelet and was a bit dissapointed that the clasp that I thought would be very sparkly wasn’t, but Soufeel is going to send me another one. That is very good business. I’m happy that the replacement bracelet is on its way and hope that the crystals in this clasp on the bracelet will be as sparkling as they should be. Looking forward to receiving it. I have bought several charms from Soufeel in the past and have had them for years and they are very well made and still look as beautiful as when they were new. Will purchase from them again. The bracelet is beautiful and made with good material. I would give it 5 stars if it was easier to get off. After breaking my thumb nail trying to get it open I had to resort to opening it with a tool one handed. Thankfully I haven’t stabbed myself yet but im sure I will eventually. Its super strong so no worries about loosing it . Love it! Ordered a few inches bigger as I wanted to add many charms and my bracelet is coming together nicely!Very flexible and sturdy! I was fearful that the bracelet would catch onto my arm hair (as I was blessed with dark and thick hair features) and it has not done so yet, so I’m very pleased!I wear it all the time and see no wear or tarnish after about a month of wearing, which is lovely. 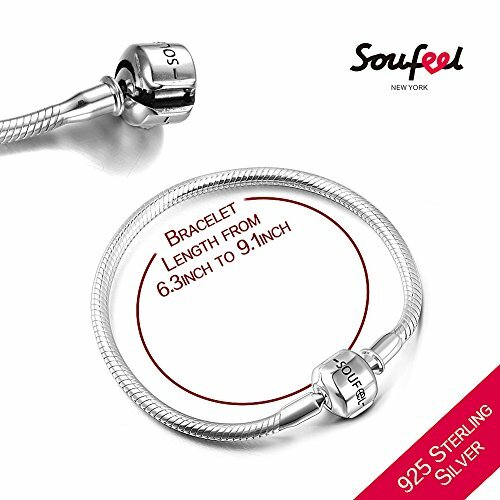 I take it off when I am taking a bath/shower or when I am about to go to sleep (if I remember) to prevent any possible rapid tarnishing to the bracelet.Overall, it’s lovely and keeps your charms secured! Love this company and their products . Ordered both through their site and through Amazon . Great service either way but some added selections and personalization through their site . As beautiful as Pandora at a more reasonable price point . 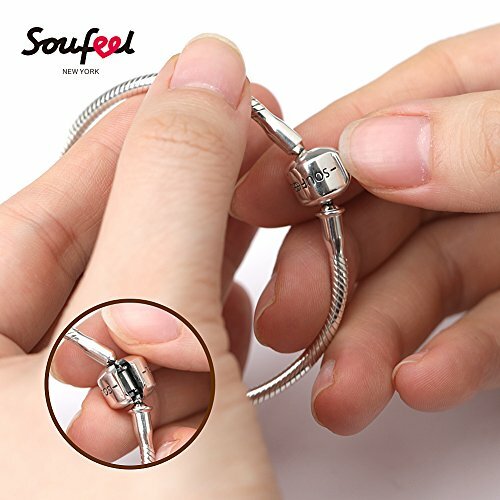 Just remember if ordering bracelet – you might want to size up a little if adding or intending to add many charms . . Will definitely be ordering more if this brand . Beautiful bracelet and beautiful charms . Received many compliments. When the bracelet finally arrived, I was very impressed. The bracelet is solid, sleek & beautiful.I would like for directions to have come on how to open the clasp. You need to put your fingernail between the 2 edges on the clasp where it is no longer smooth. The clasp pops apart, it does not unscrew.I also would have liked for the bracelet to have been delivered when promised, especially since I paid extra to have it delivered earlier than the company’s projected delivery date.